Transatlantic Call: "One Year after CETA's Implementation" - Atlantik-Brücke e.V. The Comprehensive Economic and Trade Agreement (CETA) between Canada and the European Union has provisionally entered into force on September 21, 2017. How far advanced is the process of ratification within national European parliaments one year later? Which successes in trade and investments can already be seen from CETA? Does the treaty have a positive impact on other negotiations of bilateral and multilateral free trade agreements such as NAFTA and a possible successor of TTIP? We look forward to discussing these questions with Ailish Campbell. She serves as Assistant Deputy Minister and Chief Trade Commissioner in the current Canadian government. 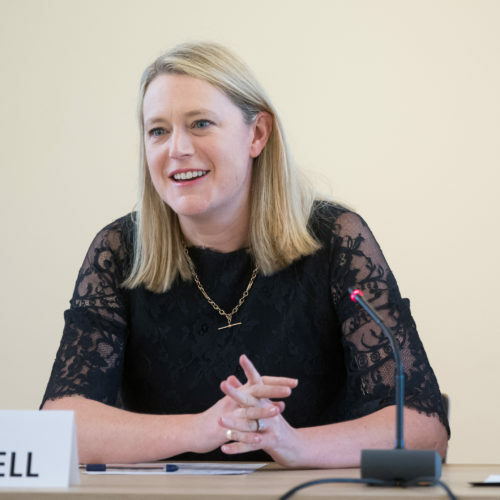 Ailish Campbell joined Global Affairs Canada as the Chief Trade Commissioner in March 2017. Previously she was General Director at the Canadian finance ministry and Vice President for International and Fiscal Policy at the Business Council of Canada. If you are interested in listening to this conversation, please dial in to the Transatlantic Call at the assigned time. If you would like to pose a question to Ailish Campbell, please submit it no later than Tuesday, September 18, 2018, 9:00 a.m. EST/3:00 p.m. German time to the following e-mail address: r.fehrenbach@atlantik-bruecke.org. We will include it in the interview wherever possible.